I’m looking forward to the “Questions Next Door” conference this weekend. Here’s a promotional video. At the conference, I’ll be leading a breakout session called “How to Run a Christianity 101 Study.” I’ll teach it at 4pm on Friday and repeat it at 11am on Saturday. It’s an introduction to The Anchor Course: Exploring Christianity Together. Participants in this breakout session will receive a copy of The Anchor Course while supplies last. Since people don't want Christianity to be true, we have to make it first winsome with our lives, then attractive with our appeals, and then finally persuasive with our arguments. In that order. 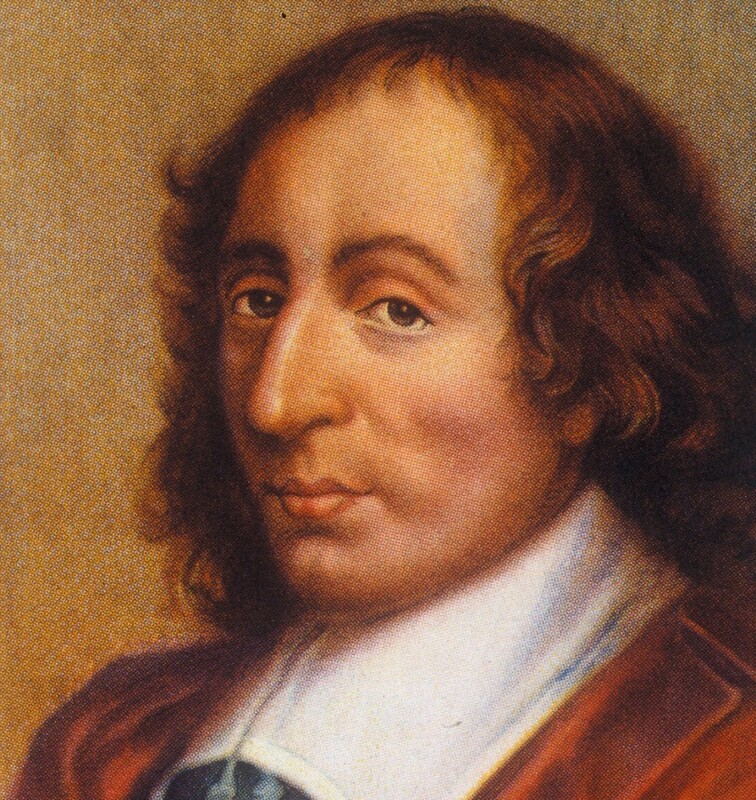 One of the most interesting of Pascal's Pensees is the one quoted above. Here Pascal looks holistically at how to present the Christian message to those who do not believe it. He begins with the psychology of non-belief. He says that people are not objective about religion (here meaning Christianity). They really despise it and don't want it to be true—yet fear it may be true. Some of these are fair-minded people who see good, well-thought-out reasons Christianity is not true. Others are not so fair-minded, and they just vilify and caricature it. But no one is neutral. People know instinctively that if Christianity is true they will lose control, and they will not be able to live any way they wish. So they are rooting for it not to be true, and are more than willing to accept any objections to the faith they hear. How should Christians respond? Pascal thinks there are basically three stages to bringing someone on the way to faith. First, you have to disarm and surprise them. Many people hope Christianity does not make sense on any level. They especially enjoy hearing about professing Christians who are intemperate, irrational, and hypocritical—this confirms them in their non-belief. When, however, some presentation of Christian faith—or simply a Christian believer's character—comes across as well-informed, thoughtful, sensible, open-minded, helpful, and generous, then this breaks stereotypes and commands a begrudging respect. After this, Pascal says, we should be somewhat more proactive. “Next make it attractive, make good men wish [Christianity] were true.” We might object to the term “make” and suggest that Christianity is already attractive, but that's to miss Pascal's point. Of course he isn't saying we should make Christianity into something it's not; rather, we should reveal, point out, and expose its existing features. But the phrase “make good men wish it were true” gets across that this takes determination and ingenuity. We must know our culture—know its hopes—and then show others that only in Christ will their aspirations ever find fulfillment, that only in him will the plot lines of their lives ever have resolution and a happy ending. I'm glad Pascal calls for this because, understandably, in these conversations we want to talk about sin and the barrier it creates between God and us. Pascal isn't arguing against that. Certainly he isn't telling us to hide that. But do we take time to talk about the manifold and astonishing blessings of salvation? Do we give time and effort to explaining the new birth; our new name and identity; adoption into God's family; the experience of God's love and beholding Christ's glory; the slow but radical change in our character; a growing freedom from our past and peace in our present; power and meaning in the face of suffering; membership in a new, universal, multi-racial counter-cultural community; a mission to do justice and mercy on the earth; guidance from and personal fellowship with God himself; relationships of love that go on forever; the promise of our own future perfection and glorious beauty; complete confidence in the face of death; and the new heavens and new earth, a perfectly restored material world? Only then will most people will sit through any kind of substantial presentation of the evidence and reasons for the truth of Christianity. Now Pascal says to “show that it is [true].” If they have not been brought through stage 1 (being disarmed and surprised by the lives and speech of believers) and stage 2 (seeing the great and attractive promises of God in Christ), their eyes will simply glaze over if you begin talking about “the evidence for the resurrection.” They will still expect Christianity to be at best useless and at worst a threat. But if Christianity has begun to make emotional and cultural sense they may listen to a sustained discussion of why it makes logical and rational sense. By “emotional sense” I mean that Christianity must be shown to be fill holes and answer questions and account for phenomena in the personal, inward, heart realm. By “cultural sense” I mean that Christianity must be shown to have the resources to powerfully address our social problems and explain human social behavior. Only if their imagination is captured will most people give a fair hearing to the strong arguments for the truth of Christianity. Let's appeal to heart and imagination as well as to reason as we speak publicly about our faith in Jesus. Find Keller's original post here.